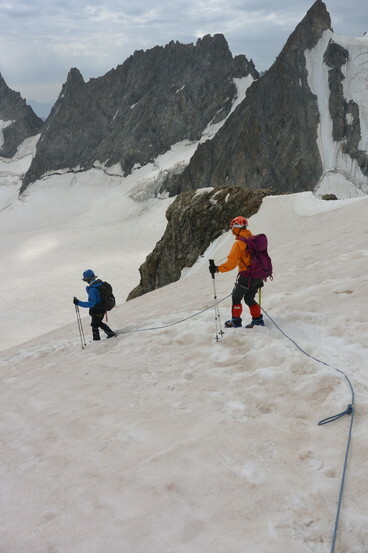 The ascent of the highest peak in Europe is a challenge. 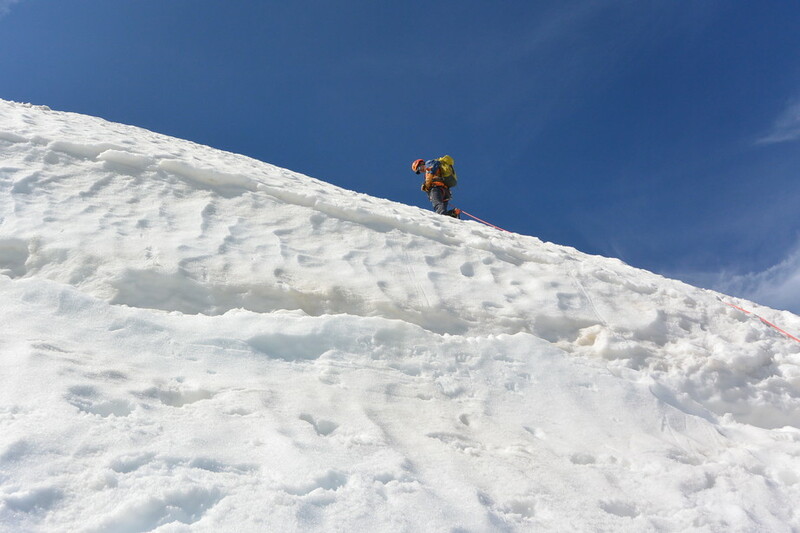 Every year hundreds of climbers trying to trample its summit with more or less success. 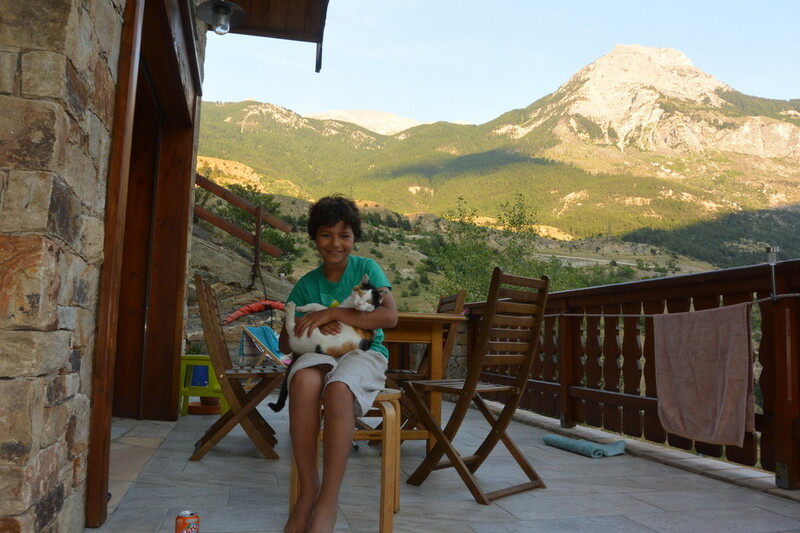 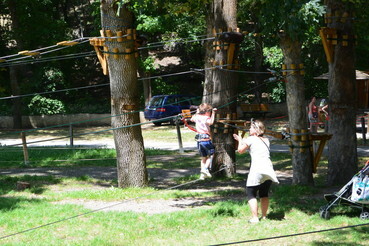 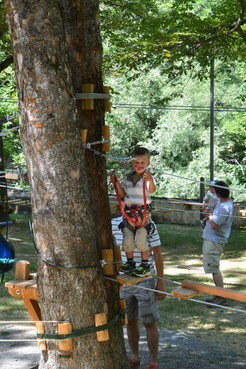 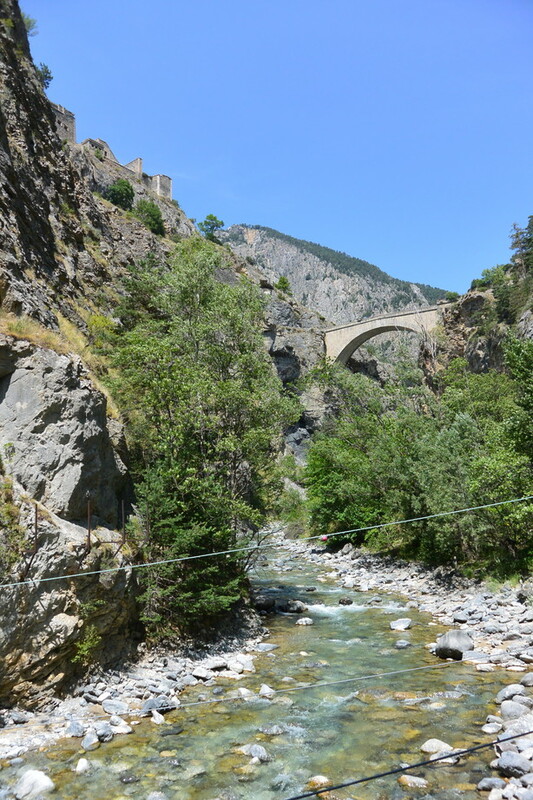 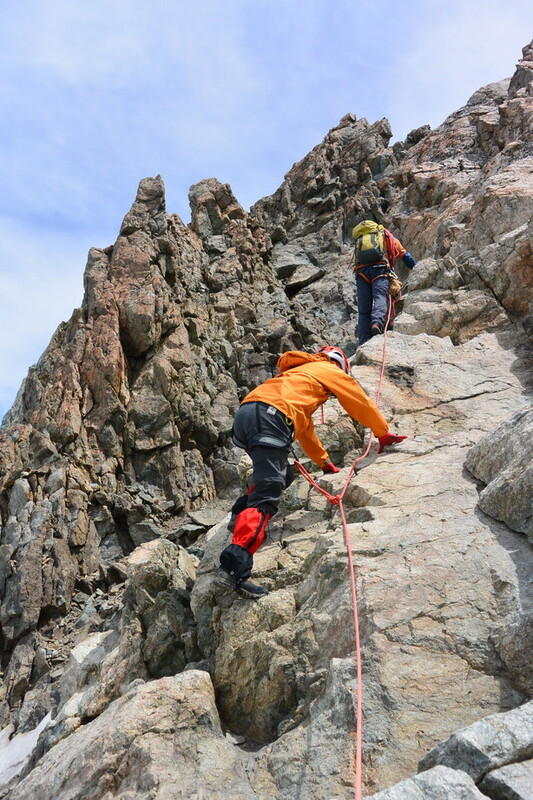 This project requires a very good stamina and perfect acclimatization to high altitude. 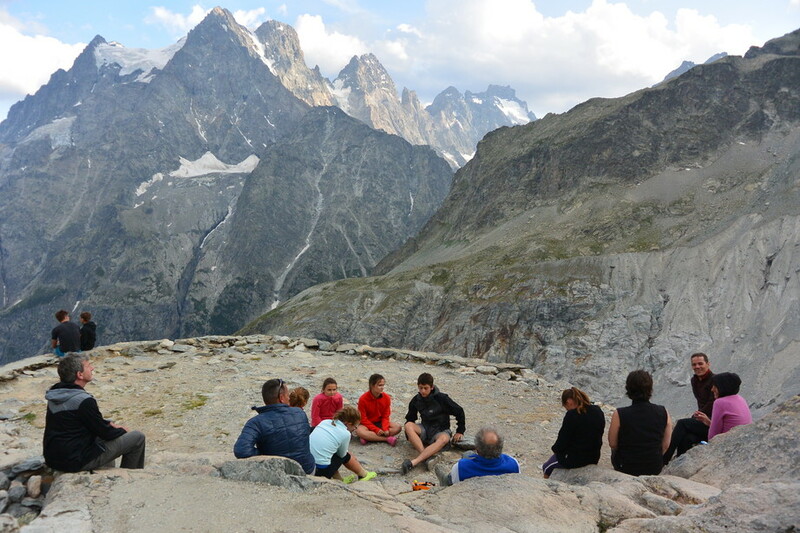 In order to greatly improve the chances of success of this great company, we invite you to regroup during the 3 days preceding the ascent of Mont Blanc a complete and balanced program that have largely proven in the Ecrins, the fantastic and the wildest massif in the French Alps. 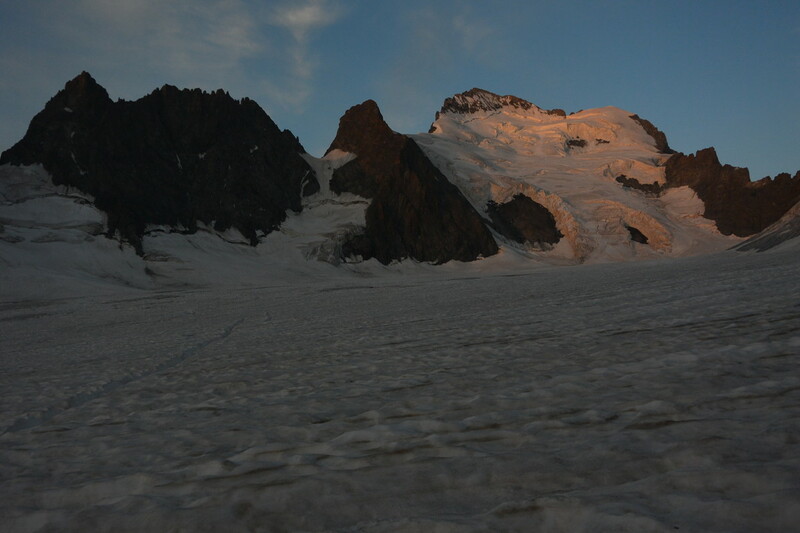 J / 1 Accueil in La Grave at 8am. 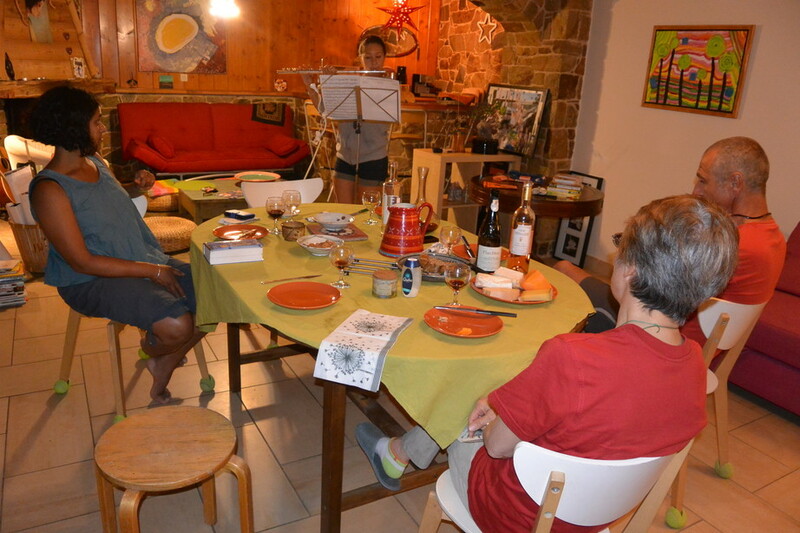 Control of materials and presentation of the course. 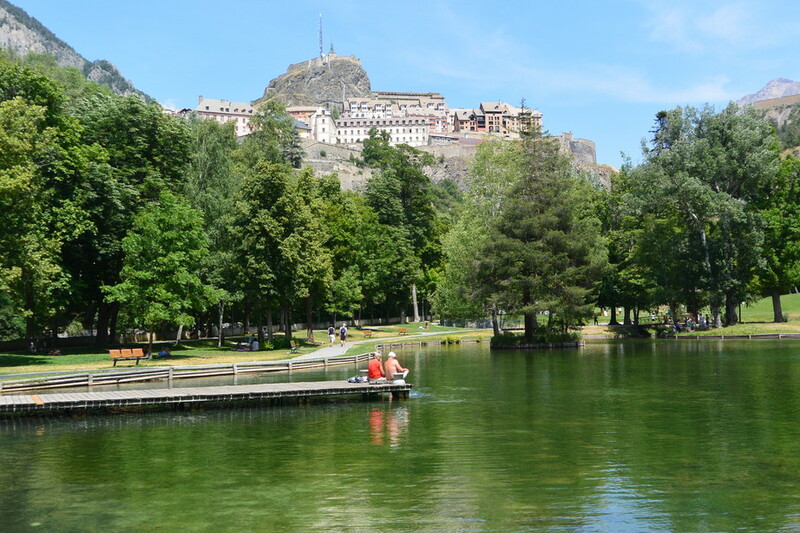 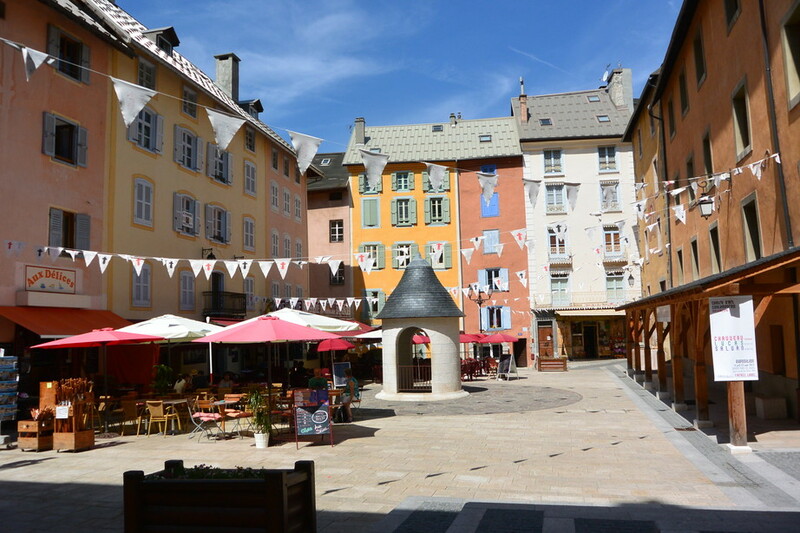 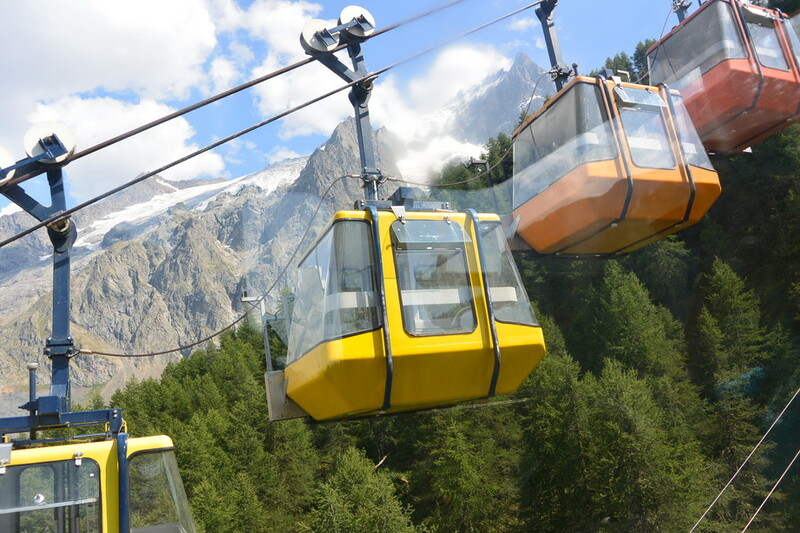 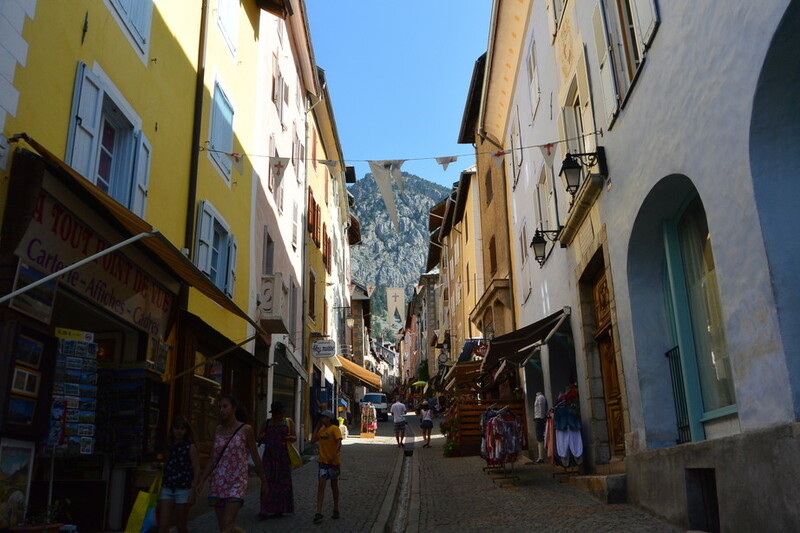 Purchase of Personal shopping and food intake of up to 3200m cable cars. 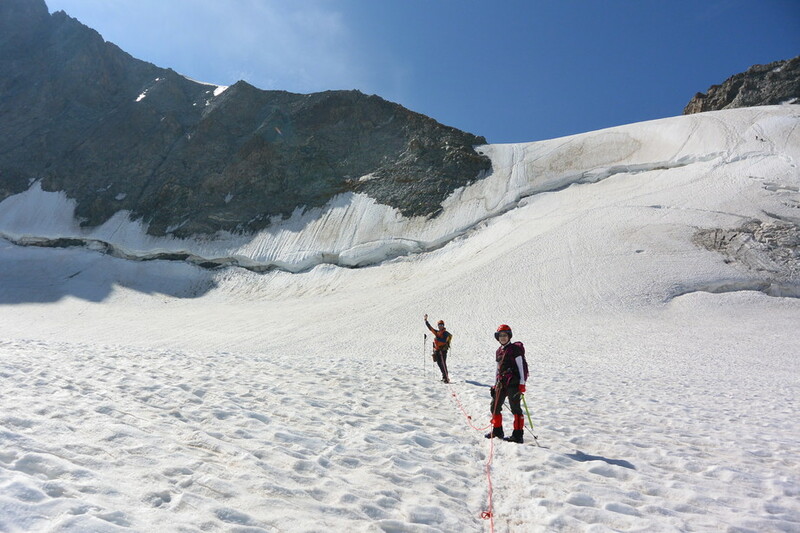 Maneuvers with ropes and acclimatization glacier walking on the glacier and the Col de la Girose (3600m). 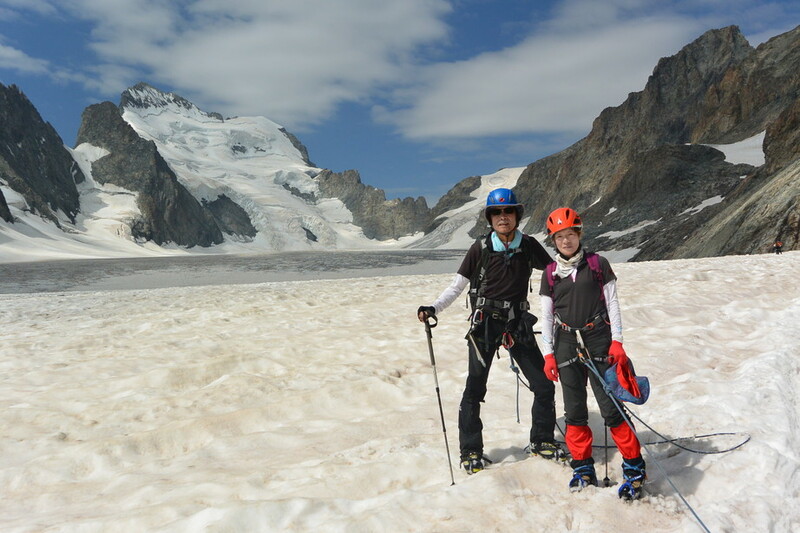 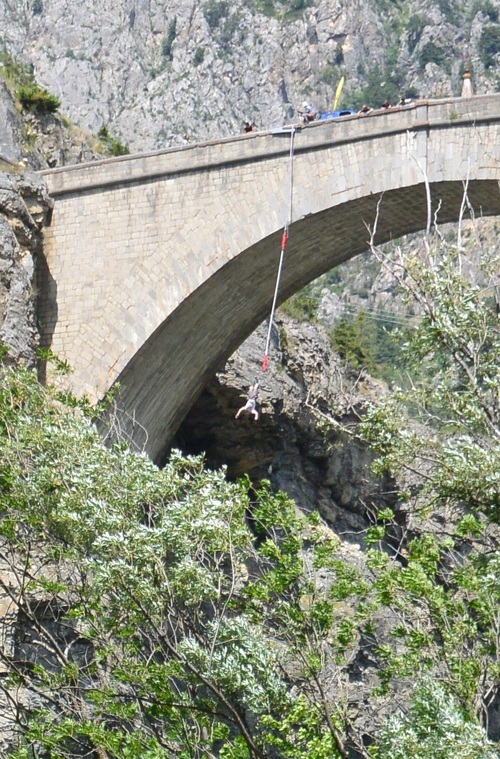 J / 2 Exercises and rope maneuvers on the rocks of Ailefroide in Vallouise valley then up to the refuge of the Glacier Blanc(2700m). 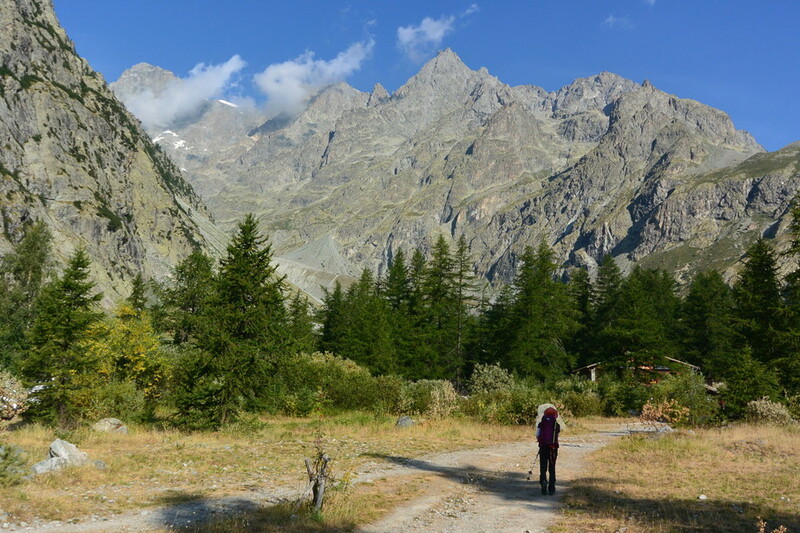 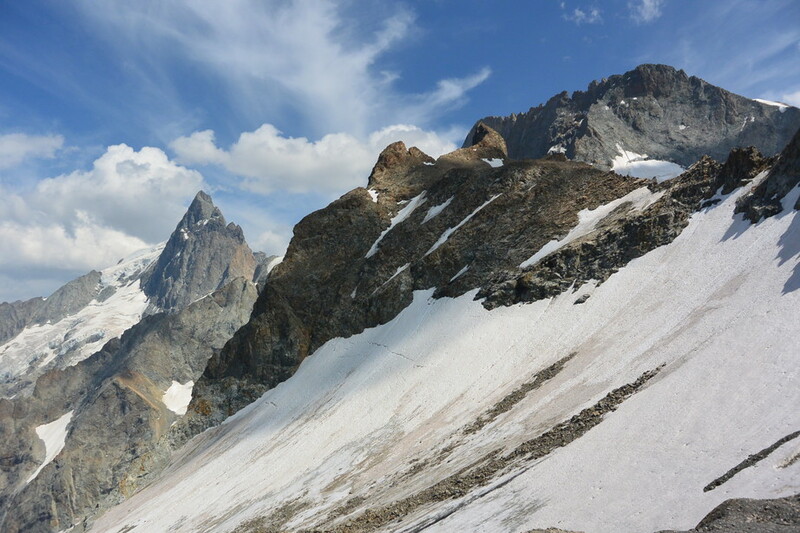 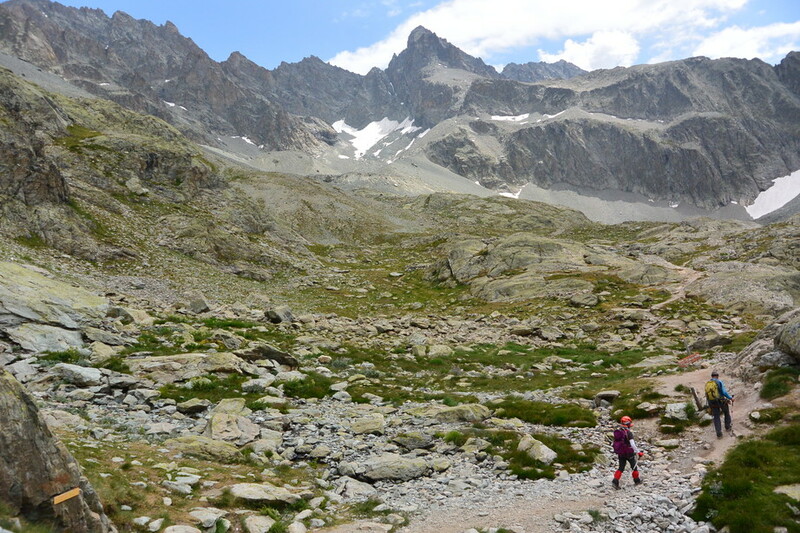 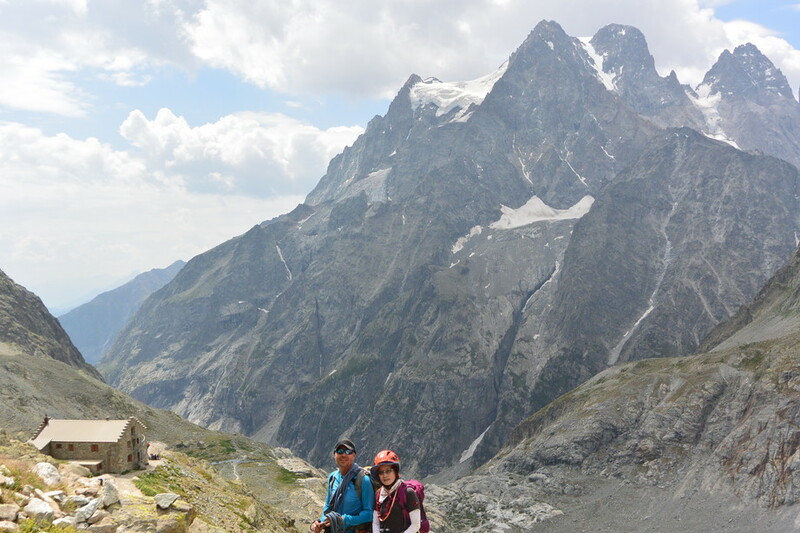 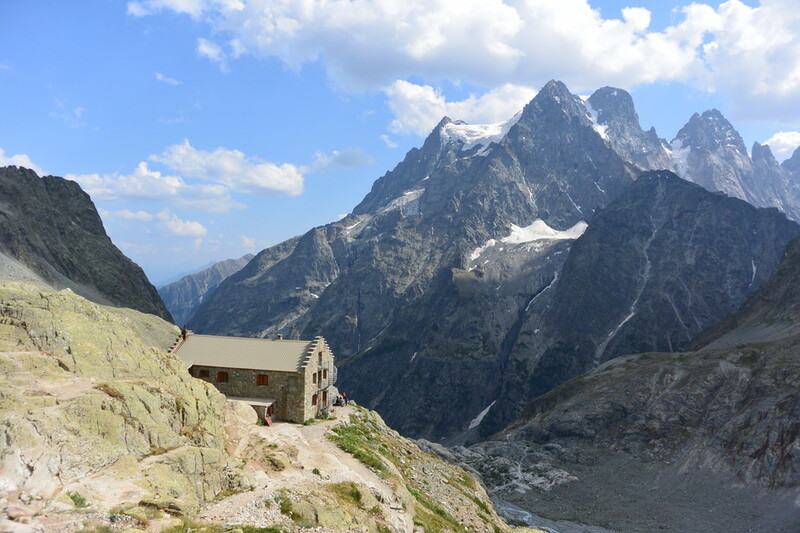 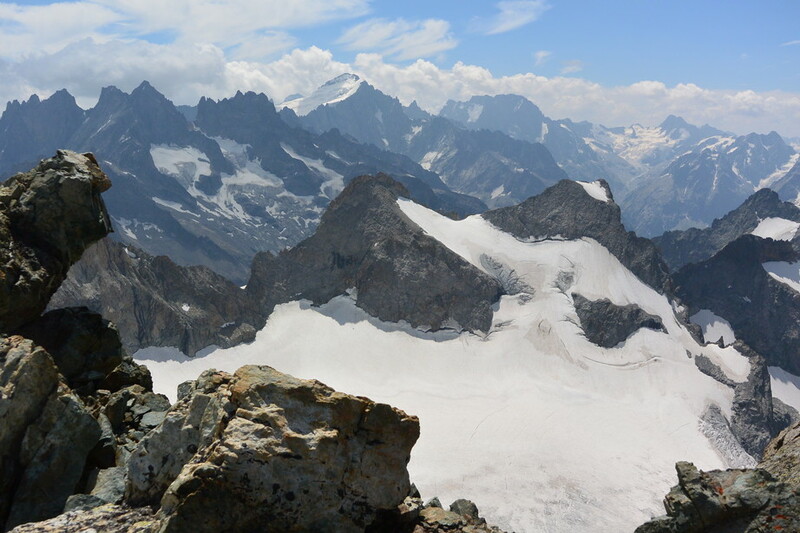 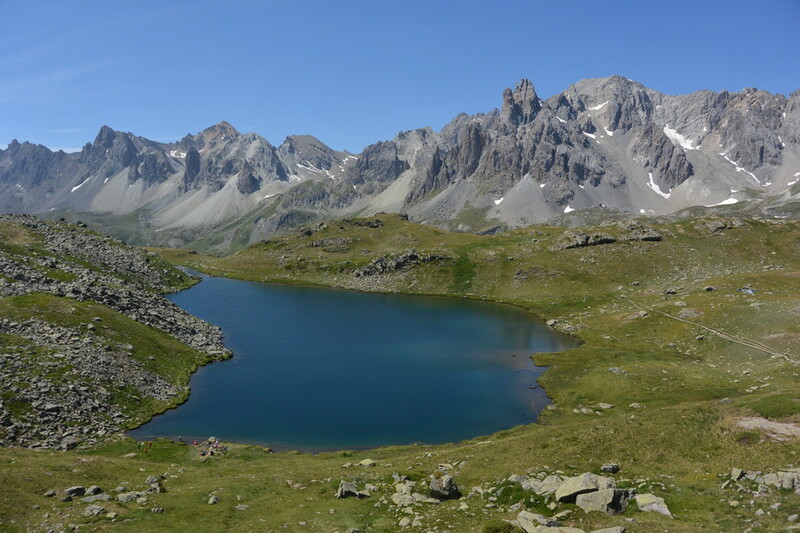 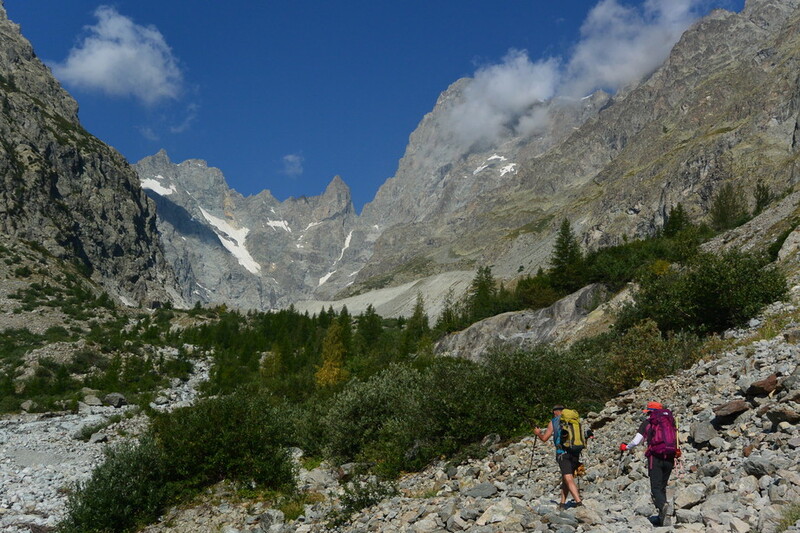 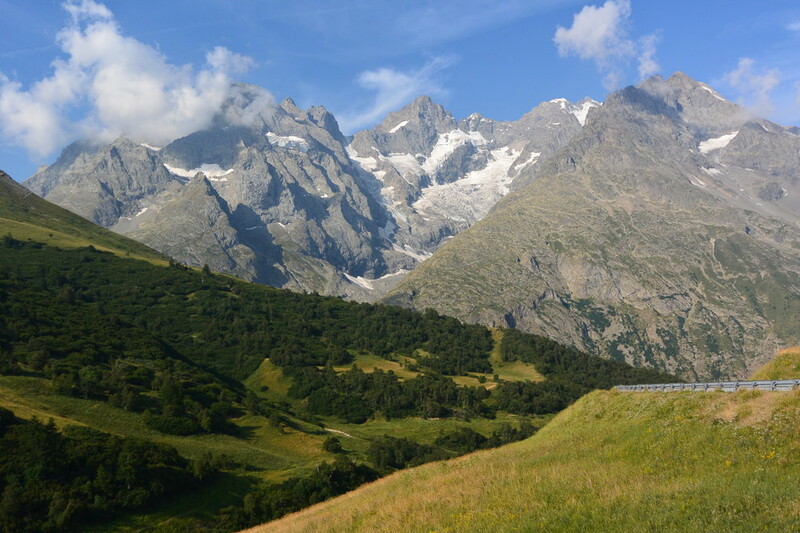 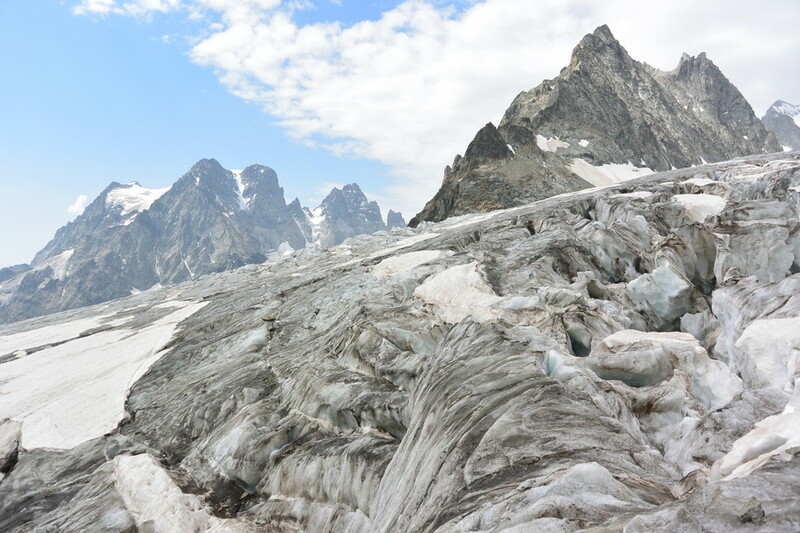 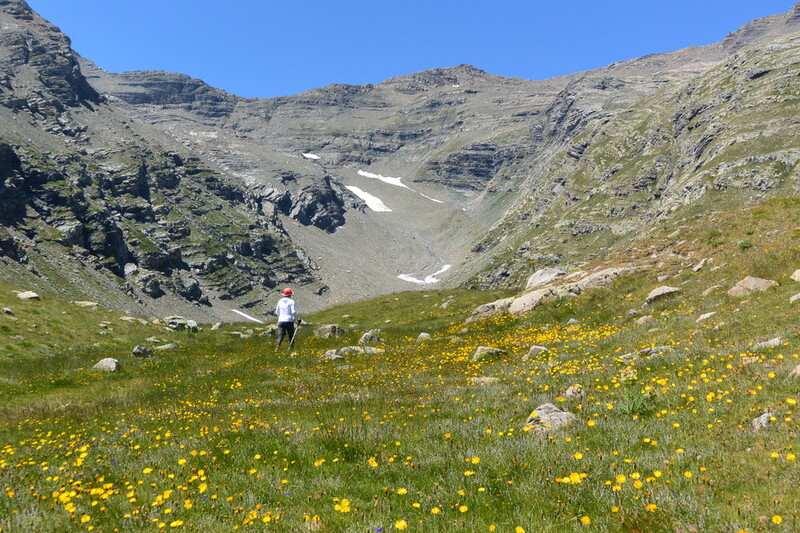 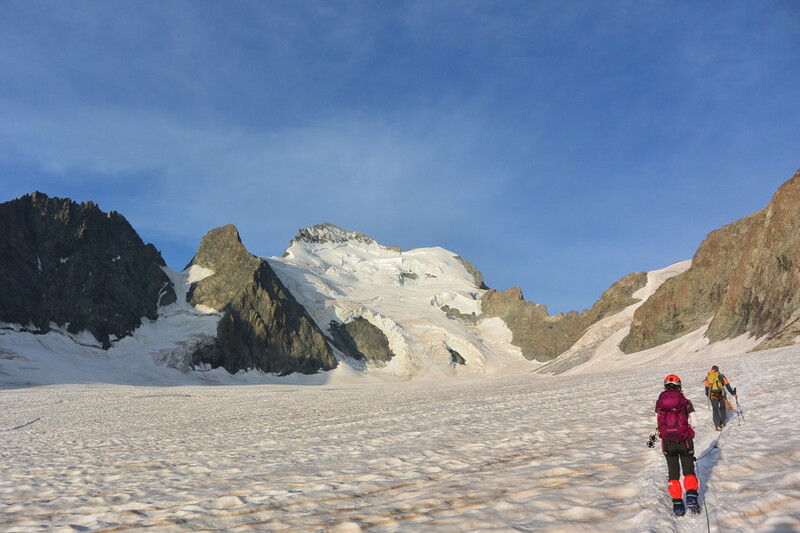 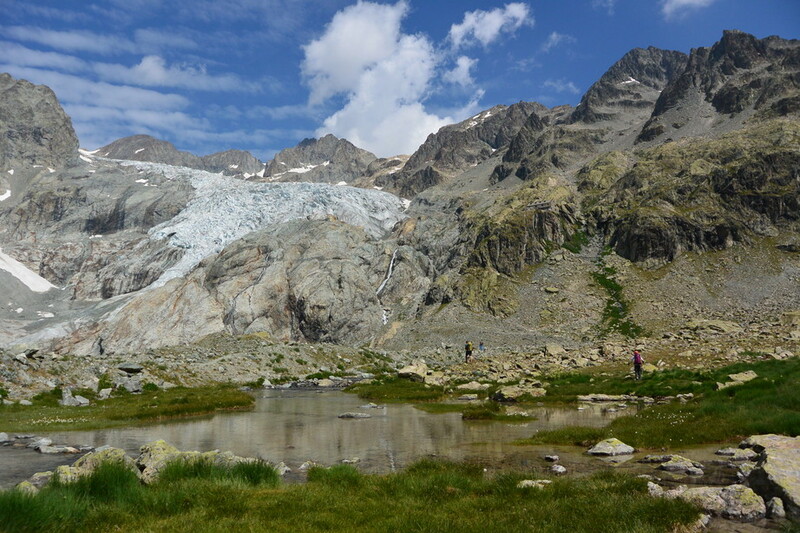 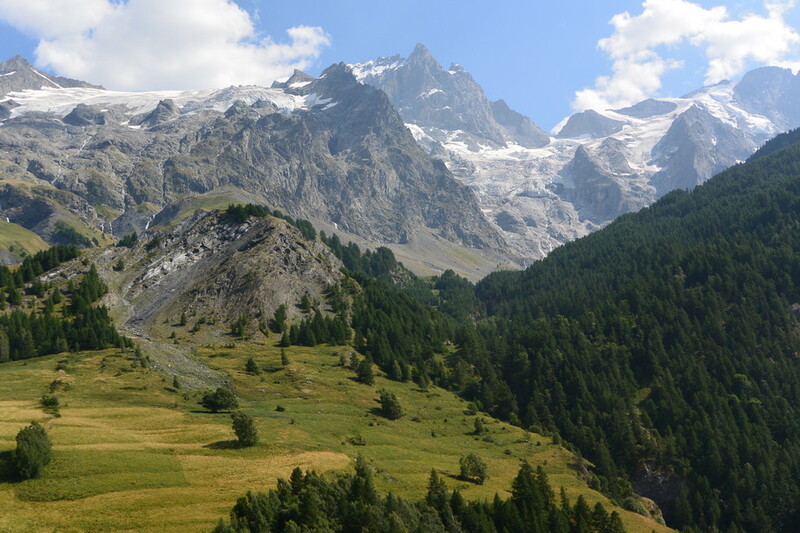 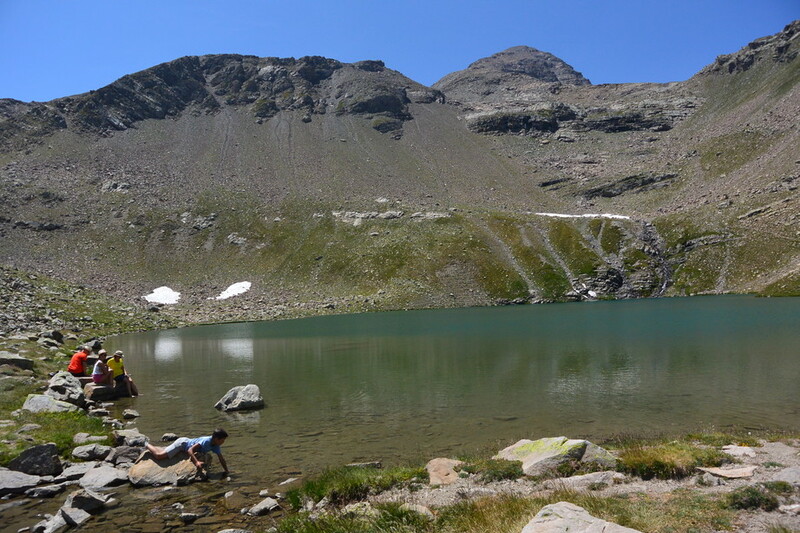 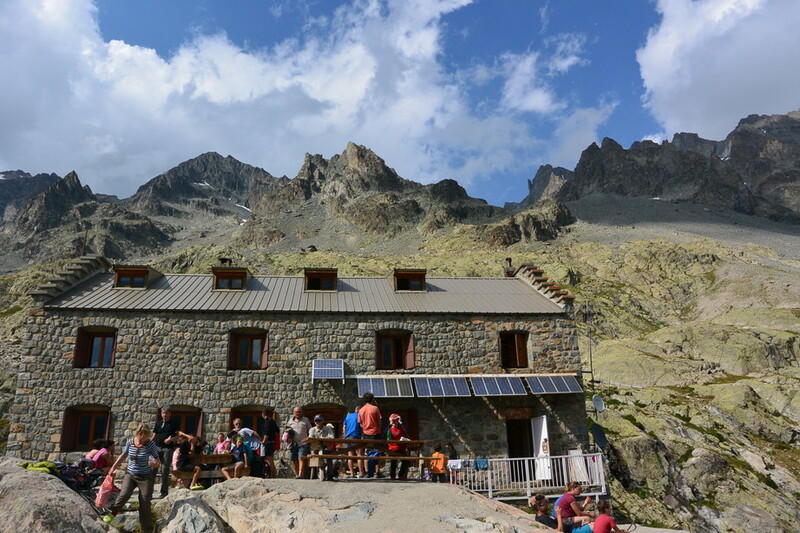 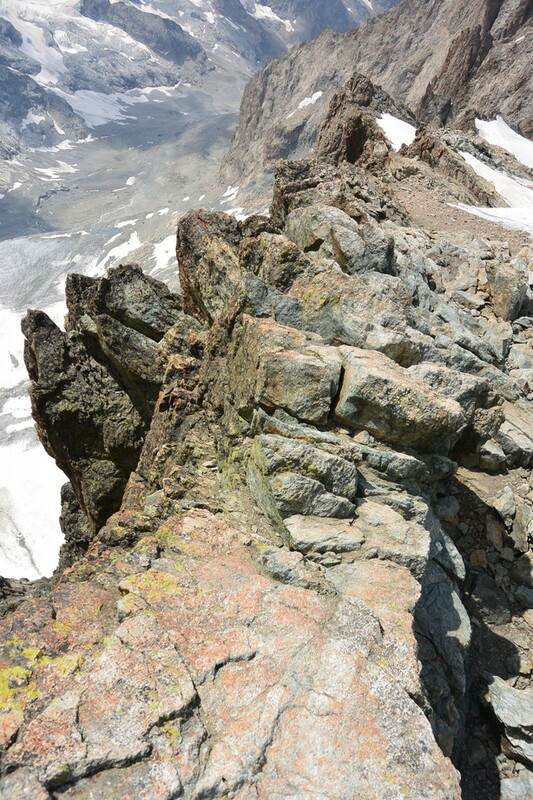 Ascent of the bigest glacier of the Ecrins and reassembled at the refuge Ecrins (3100m). 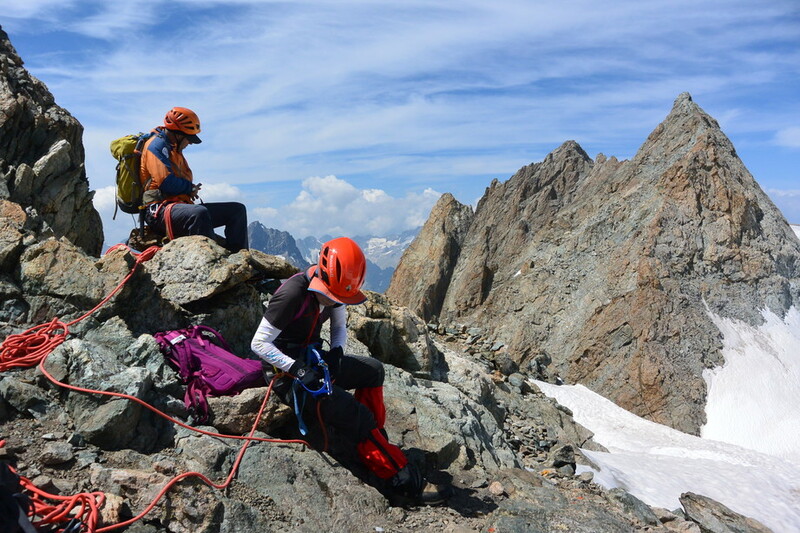 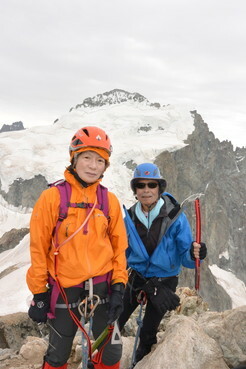 J / 3 Ascension dome Ecrins (4015m), superb summit with fantastic view on the massif and the northern Alps. 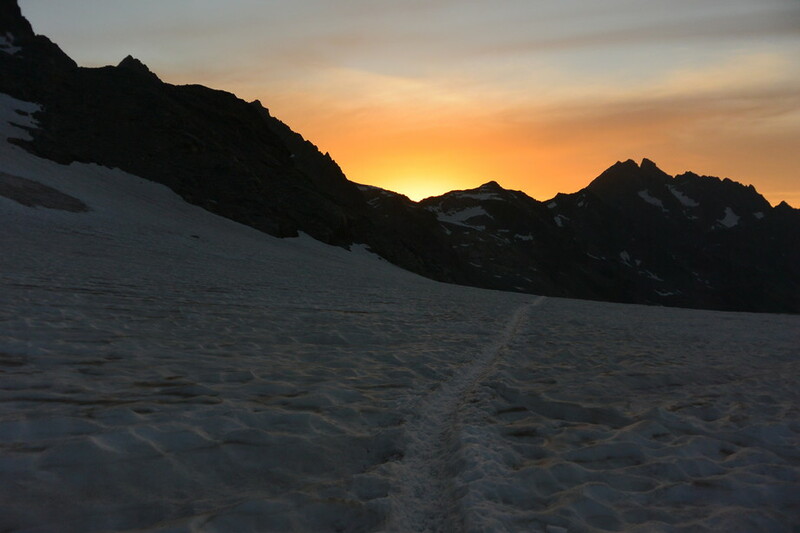 Long way back and night in the valley. 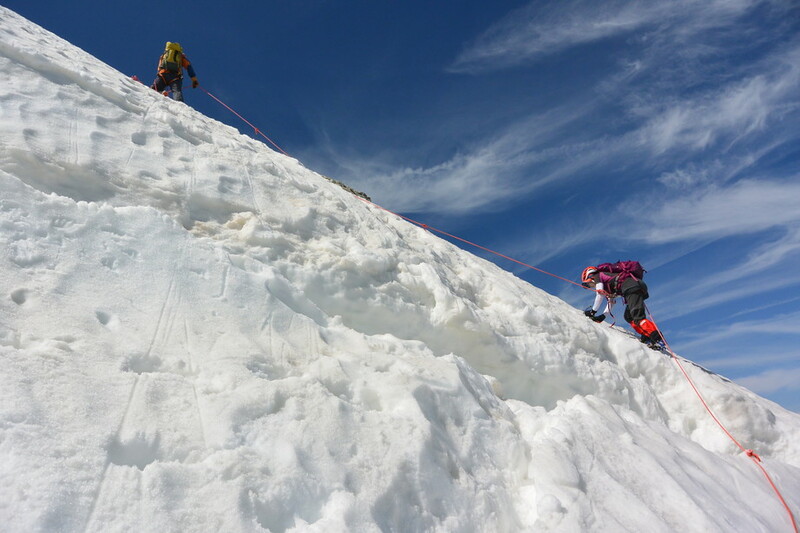 Nocturnal ascent to the Dome du Gouter (4304 m) and then in the morning we go through the Vallot hut (4362 m), a final effort on Bosses Ridge and finally the summit of Mont Blanc (4810m). 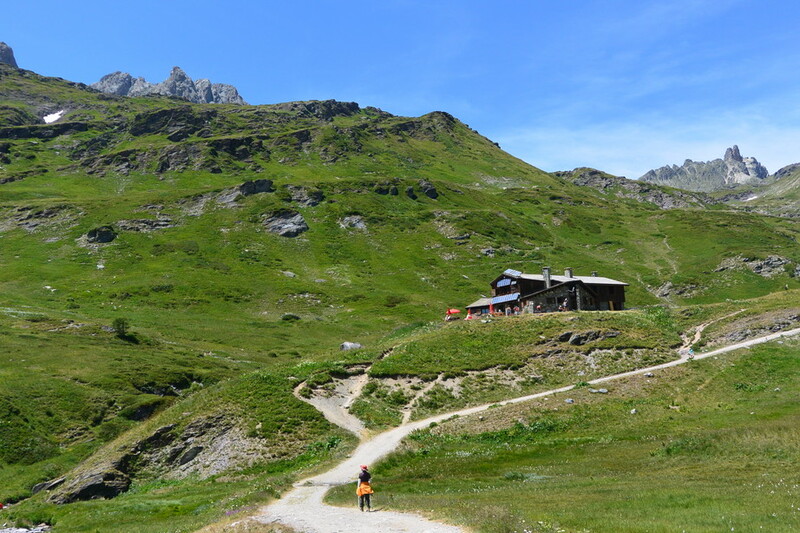 Descent Goûter to return to earth ... then after a quiet descent soup valley. 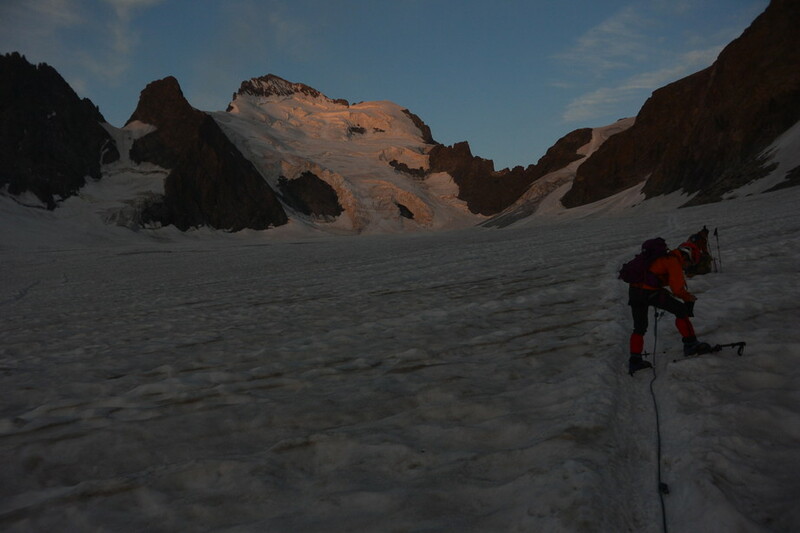 Evening separation.